U.P.#7 | The McKeen Motor Car Website U.P.#7 | The Compendium of Knowledge on the McKeen Motor Car Company, and their experiments. This is a lithograph of McKeen Motor Car #7 from a McKeen Letterhead dated Sept. 18, 1913. McKeen Car U.P. 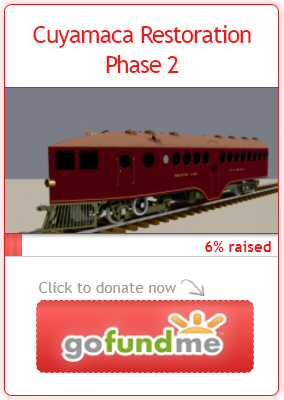 #7, notice the motorman’s door on the right side of the motor car. Photo Courtesy of James Ehernberger. U.P. #7 seen here with one of the U.P. 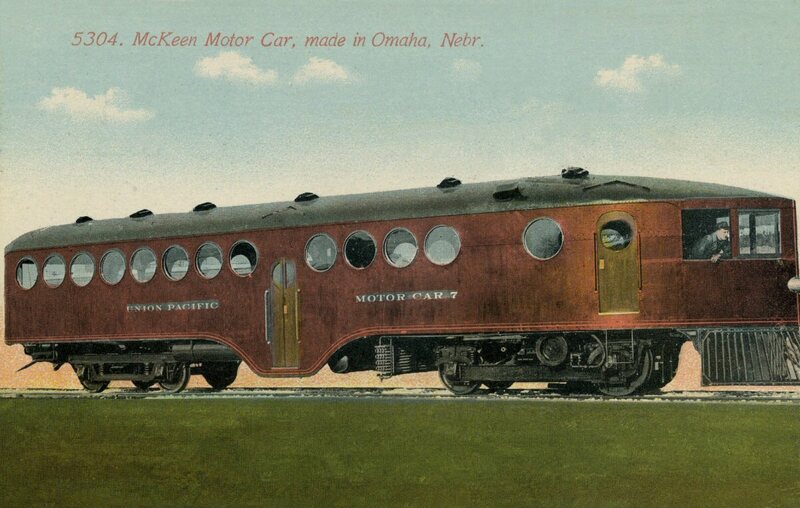 Trailer cars also built by the McKeen Motor Car Company. Seen here in this 1907 scene, this car was the first McKeen Car with a center entrance and round passenger windows. Union Pacific McKeen Car #7 in a heavily photoshopped postcard. The original photograph was likely taken near Omaha, you can tell the background has been removed as there is likely a building seen in the rear windows. McKeen Car #7 of the Union Pacific Railroad. Courtesy of Union Pacific Historical Collection McKeen Car #7. Motor Car #7 rebuilt as Trailer Car T-18, painted in streamline colors with M-23, M-24, and it’s sister Trailer Car T-19.